Application area:Slag industry, sandstone industry, etc. Applied Materials:River sand, quartz sand, artificial sand, silica sand, yellow sand, mineral sand, ore, slag, blast furnace slag, fly ash, cinder. Sand dryer applies to granular materials in general, especially suitable for drying sand, river sand, quartz sand, silica sand, etc. Sand dryer has advantages of high production capacity, wide scope of applications, small flow resistance, larger fluctuation range in operation, convenient operation and so on. Sand drying machine is commonly used to dry river sand, artificial sand, quartz sand, mineral powder, coal cinder, etc. Sand dryer adapts to a variety of fuels such as coal, oil and gas. 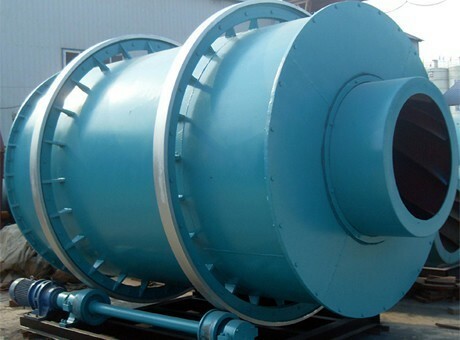 According to volume, sand dryer can be divided into large sand dryer and small sand dryers; While according to the materials to be dried, it can be divided into silica sand dryer, river sand dryer, yellow sand dryer, quartz sand dryer, sea sand dryer, garnet sand dryer, etc. Sand dryer is suitable for drying river sand, dry-mixed mortar, yellow sand, slag, clay, coal gangue, mixture, coal ash, gypsum, iron powder, limestone, coal, ore, semi-coke. It is widely used in building materials, chemical industry, foundry, cement plant and other industries. Sand dryer is mainly composed of rotary cylinder, air inducing equipment, high-speed scattering equipment, lifter plate, automatic cleaning device, transmission device, conveying equipment, hot air equipment, speed reducer, supporting and sealing device, etc. It has reasonable design, exquisite workmanship, stable performance, advanced process, high output, low energy consumption, small occupied area, and high mechanization. Henan Fote Heavy Machinery Co., Ltd. is a professional sand dryer manufacturer, providing sand dryer price, models and pictures. If you have any questions about the price of sand dryer, you can consult us freely. We are looking forward to your inquiry.